We all know Shakespeare's classic ghost story—the young prince Hamlet's dead father appears to him, demanding vengeance upon Hamlet's uncle Claudius, who has usurped the throne and, to add insult to injury, married Hamlet's mother. The young prince dithers and delays, coming up with excuse after excuse to postpone his vengeance—but not for the reason Shakespeare told us. It is instead because Hamlet keeps discovering evidence that things are not quite what they seem in the kingdom of Denmark—and never have been throughout his life. 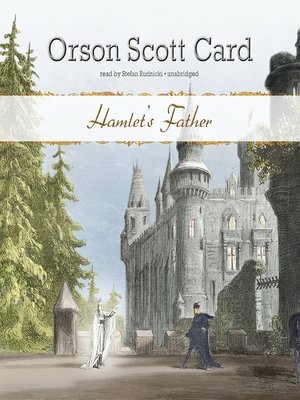 Once you've experienced Orson Scott Card's revelatory version of the story, Shakespeare's play will be much more fun to watch—because you'll know what's really going on.